Ideal for highdrain devices, these batteries give you up to 30% more power in toys than Ultra Digital batteries. And, with POWERCHECK, you can literally see how much power you have left. 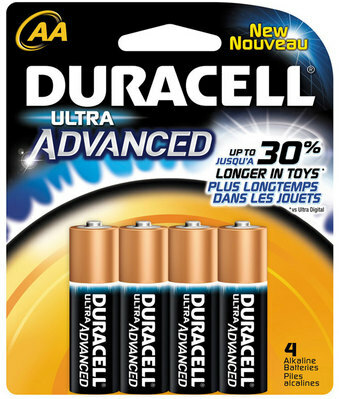 These batteries are available in AA and AAA sizes.